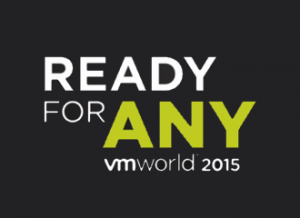 VMworld 2015: Virtual SAN 6.1 introduction - vSAN grows up! Home > All other vStuff > VMworld 2015: Virtual SAN 6.1 introduction – vSAN grows up! Today at VMworld the new version of Virtual SAN, version 6.1, was introduced. VMware’sVirtual SAN leverages local storage in servers and delivers it to the vSphere cluster as a virtual SAN. vSAN was introduced in 2014 as version 5.5. The new features are pretty impressive. Initially Virtual SAN required to have at least 1 SSD and 2 SAS or SATA disks per node with a minimum of 3 nodes. With the new version you have more options and better protection. NVMe (Non Volatile Memory, Express) is a communications protocol developed developed to overcome the SAS/SATA bus limitations, specifically for SSDs, allowing for greater parallelism to be utilized by both hardware and software and as a result various performance improvements. Leveraging NVMe in a Virtual SAN all flash deployment resulted in 3.2M IOPS measured on a 32-node cluster at about 100.000 IOPS per Host. If you already have vSAN 6, how can you upgrade to v6.1? There are a few upgrade paths. 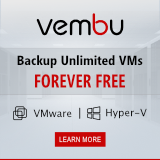 Looking for a reliable hypervisor?